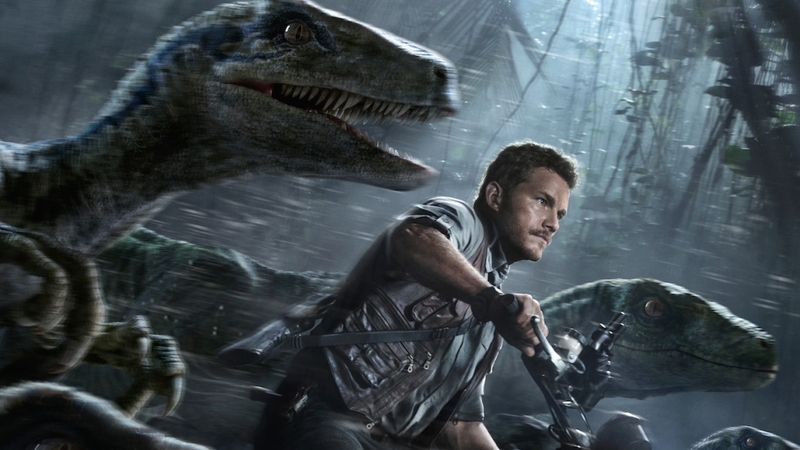 The latest dinosaur revival leads a stampede in a summer of sequels and reboots of franchises from another era. The most memorable moment in Steven Spielberg's 1993 summer blockbuster "Jurassic Park" comes when he focuses his lens on a fleeing Jeep’s side-view mirror to show a fast-approaching, fang-flashing T-Rex and this text: "Objects in mirror are closer than they appear." In that instant, Spielberg delivered enough excitement and anticipation to make gasping viewers swallow their popcorn whole. "Jurassic World," the long-awaited fourth movie in the series, hits theaters Friday with state-of-the-art special effects likely to turn Spielberg's original dinosaurs into relics of another era. But the film – along with a spate of other flicks in a summer movie season filled with sequels and reboots of franchises dating back to the last century – should come with a warning: The past is a lot closer than it appears. We're entering, for better or worse, a Jurassic time warp filled with new takes on old favorites. “Mad Max: Fury Road,” the extension of the 1979 low budget action thriller that put Mel Gibson on the post-apocalyptic map, is a box office and critical success. The recent remake of the 1982 horror flick "Poltergeist" didn’t fare near as well, and appears destined to get sucked soon into a TV near you. Arnold Schwarzenegger makes good on his promise to be back with next month’s release of “Terminator Genisys,” the latest entry in a series that dates to 1984. And just because we could use some comic relief, the “Vacation” franchise, which debuted in 1983, returns with Ed Helms as Rusty, bent on reliving his parents' family trip into hell and hilarity. Those of us old enough to have seen the originals in theaters know that revisiting the Wally Worlds of our youth don’t always live up to childhood memories. Great expectations, built over time, only raise the potential disappointment level. Chris Pratt, who is being groomed as his time’s Harrison Ford-like action-adventure-comedy Everyman, stars in “Jurassic World.” The movie will mark a test of whether he's a bankable star or whether he risks overexposure. The same can be said for the film’s dinosaurs, whose forbearers were groundbreaking in the early 1990s, but might not wow audiences in quite the same way in an era where computer generated heroes and villains are ubiquitous and seamlessly integrated into cinematic storytelling. Director Colin Trevorrow, meanwhile, tackles the daunting task of trying to please different generations of moviegoers with somewhat differing outlooks. The final summer box office figures, for “Jurassic World” and the rest of the 20th century revival stories, will tell whether we like what we see in the mirror. In the meantime, check out a preview of “Jurassic World,” as Hollywood awaits the verdict on the wisdom of bring dinosaurs back to life.